WorldStage is pleased to announce that Bob Magee has joined the company as Senior Account Manager, based in Tustin, California. An industry veteran who began his career in 1998, Magee will be supporting the company's clients within multiple industries, including broadcast and auto manufacturing. "Bob is an industry icon with an exceptional reputation and is a significant addition to the WorldStage family," says WorldStage CEO Gary Standard. "Bob is known for his custom LED work and creating unique solutions for clients. He will be taking on several key accounts here, from automakers to technology companies to production studios. We're thrilled to gain his creative and technical expertise." 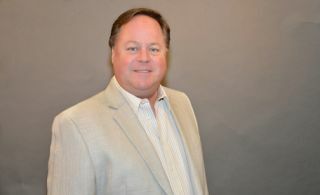 Magee honed his skills during two decades with XL Video and PRG XL Video, following the company's acquisition last year. As Director of Global Accounts he had 16 years of experience specializing in LED video technology for the event and entertainment industry, providing LED screens, complex projection installations, media servers and customized video solutions. "Bob strengthens the WorldStage team with his breadth of experience and deepens our capabilities in the LED arena," adds Standard. "His strong commitment to client satisfaction is well known within the industry, making him a great match for our company." Magee says he moved to WorldStage "to work with experts in the audio, video and lighting fields. WorldStage has very smart people who are using technology and building solutions in very advanced ways. They're focused on developing new uses of technology, which is what I have focused on my entire career. Together I believe we can bring great solutions and great value to the staged and live event industries." Magee also cites WorldStage's "tremendous reputation for high quality and expert service. As a vendor I always loved working with this company: They understand their clients and they understand the value of customer service. I'm excited to be a part of this great team." Magee has a lengthy list of credits from his prior positions including the last three Republican National Conventions; Miss Universe broadcasts since 2009; International Automotive Shows in LA, Detroit, Chicago and New York for the major automakers; "The Wiz" live telecast; the "Penn & Teller: Fool Us" 2016 broadcast season; and "Entertainment Tonight/Insider" since 2006. WorldStage Inc., the company created by the merger of Scharff Weisberg Inc and Video Applications Inc, continues a thirty-year legacy of providing clients the widest variety of entertainment technology coupled with conscientious and imaginative engineering services. WorldStage provides audio, video and lighting equipment and services to the event, theatrical, broadcast and brand experience markets nationally and internationally. For more information visit www.worldstage.com. To reach Bob directly, email him at bob.magee@worldstage.com.